Designed by the legendary course architect Pete Dye, Links at Perry Cabin takes players on an intimate journey, winding through strands of hardwoods and rolling fairways, revealing itself one hole at a time. Links at Perry Cabin was Dye’s final design, and you can feel his hands on every curve of the course. 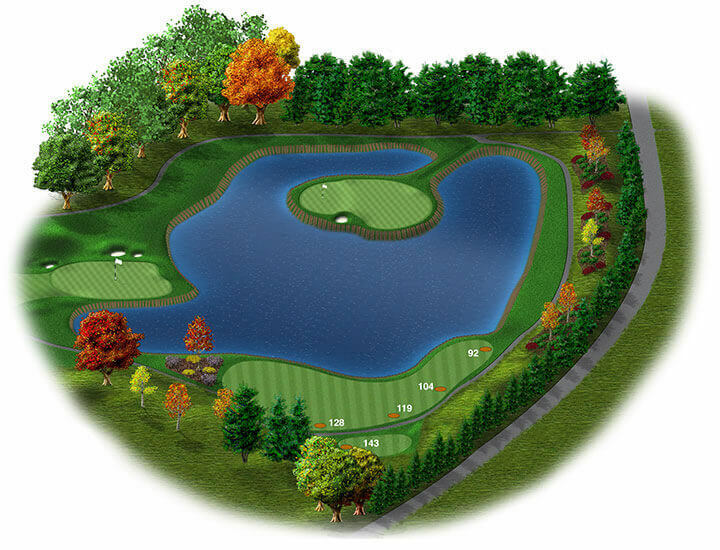 Devilish bunkers, a Biarritz 7th hole and an island green will challenge the very best players. It’s the final three holes, however, that you’ll remember best. Dubbed the “Goodnight Kiss” by Dye himself, the 16th, 17th, and 18th holes were designed to “remain in the golfer’s mind long after the round is over,” just like a goodnight kiss on the first date. For experienced and novice golfers alike, the “Goodnight Kiss” has proven to be challenging, fun and memorable, exactly as Dye intended. The 16th hole lulls players into a false sense of security with a seemingly simple par 4, a wide fairway, and only a few smaller bunkers on the left side. Things can get tricky quickly if the tee shot isn’t on point because the large bunker in the middle of the fairway right near the landing area can disrupt a game easily. Assuming you don’t get stuck in the bunker, you’ll be forced to choose to go high or low around it, navigate smaller bunkers on the left, and keep the water on the right in mind. That’s a lot to consider before your tee shot. But all that pre-thinking means you’ll do your best to avoid being caught up in the traps strewn around this hole. 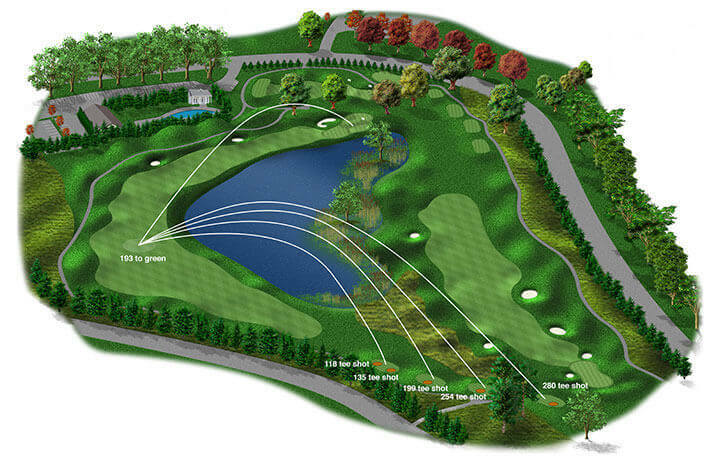 A par 3, the 17th hole immediately feels more intimidating than the 16th hole. It features an island green and is almost a direct replica of the world-famous 17th hole at TPC Sawgrass, which Dye also designed. Both the TPC Sawgrass hole and the 17th at Links at Perry Cabin are daunting even for the most experienced golfers, and shots are made even more difficult when the wind picks up off the Bay. The 18th and final hole of the course is referred to as the “Swan Song” and is arguably one of the most memorable finishing holes Dye has ever created. Players need to decide how much of a lake you’ll dare to try to shoot across. If you can hit the distance, you’ll get rewarded with a slightly easier second shot. Sounds easy, right? That is, until you consider that pot bunkers riddle the left-side bailout space and water flanks the right all the way up to the finishing three-tiered green. 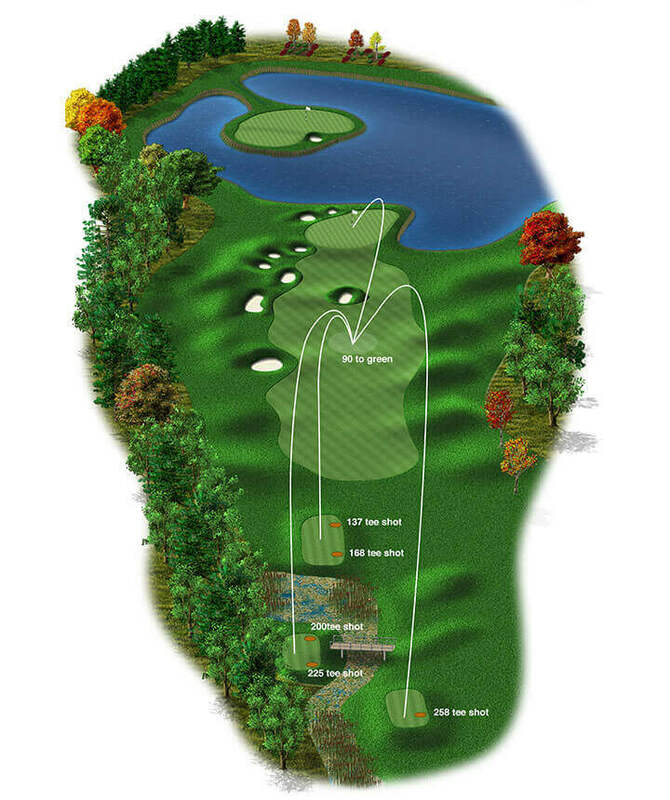 The difficult layout of the hole already makes for a memorable playing experience, enhanced immensely by the stunning and unimpeded view the hole offers over the Chesapeake Bay. Whether you are new to golf or are a seasoned player, Links at Perry Cabin will not only give you an incredibly scenic playing experience, but also the chance to try some of the most iconic holes ever introduced into the sport. For membership information, please visit linksatperrycabin.com.